We’ve all been there: The popcorn is popped, the family is gathered and then — come on, you know what happens next — you get the dreaded video buffering wheel. And just like that, movie night goes up in smoke. Or the YouTube video won’t load on your tablet. Or your video game hangs right as you’re about to hit the next level. The scenarios may vary, but the conclusion is always the same: Your Wi-Fi just doesn’t cut it. That’s where the Eero Home Wi-Fi System comes in. Eero is a set of powerful devices that piggyback off one another to deliver strong, fast Wi-Fi anywhere in your home, even in pesky dead zones and hard-to-reach nooks and crannies. The system consists of a main unit you plug into your modem and multiple Eero devices that plug into any power outlet. The number of units you’ll need depends on the size of your home. 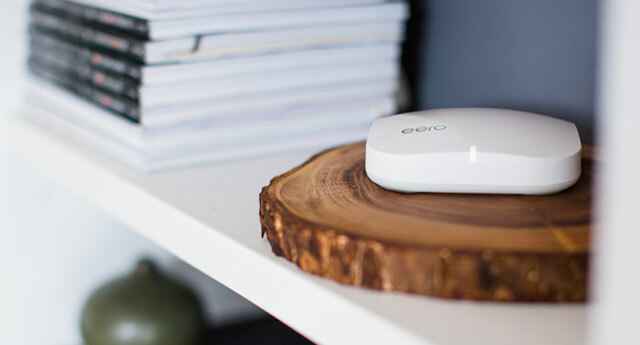 Each Eero works in concert with the others to form a robust personal mesh network. All you need to do is connect to that network and you’re ready to watch, browse or play. The units themselves are small, sleek and inconspicuous. They're designed by Fred Bould, designer of the Nest Learning Thermostat and GoPro HERO 3. The guts of the devices include two 802.11ac Wi-Fi radios, seven antennas, a 1 GHz dual-core processor and 512MB of RAM and 4GB of flash storage. There's plenty here to power your home Wi-Fi network. For our test, we received a three-pack from the company. It took approximately 10 minutes to set up the entire thing. The companion app (available for iOS and Android), which we downloaded onto our Samsung Note 5, used a clean, simple interface to direct us through creating an account and walking us through the set-up process. We connected the main unit to our modem on the second floor of our apartment, then created a network name and password. The app also helps you correctly position your Eero units. You’ll want to keep 40 feet or less between units, limit obstructions (no big pieces of furniture between units) and think about keeping the units elevated and out in the open (on a shelf or table). We decided to plug in the other two in downstairs, one on the kitchen counter for our all-in-one PC and one on the TV stand in the living room next to our Internet-enabled TV. The light on the front of the unit blinked for less than a minute while it was pairing, and then voila, our new network was up and running. To check if the new Wi-Fi network was speedier than our already beefed-up dual-band, Gigabit-speed D-Link Smartbeam router ($129 on Amazon), we used the Ookla speed test at www.speedtest.net on both our computer and phone (with the mobile apps for iOS and Android). We checked our Wi-Fi on both devices using both the D-Link and the Eero system at noon and 8 p.m. with and without streaming video. One caveat: We use Time Warner broadband, which is and has always been fairly atrocious in our South Brooklyn neighborhood, so even at its best, our download speeds are way below what they should be. Our tests showed Eero’s download speeds doubled both in the afternoon and more than doubled in the evening, topping out at nearly 60 megabits per second, while the highest we previously clocked was 22.19 Mbps. 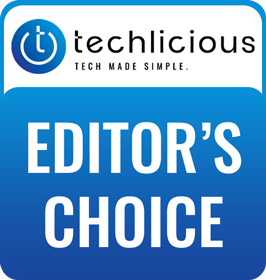 For us, it was like a secret Wi-Fi switch was turned on, letting us watch Netflix, Amazon Prime video and On-Demand DirecTV programming at a much higher resolution. But the biggest change we saw was on our PC. For months, we'd been struggling to smoothly stream DirecTV online, sometimes dealing with up to 10 minutes of buffering time, repeatedly restarting the video player, and sometimes getting nothing at all. 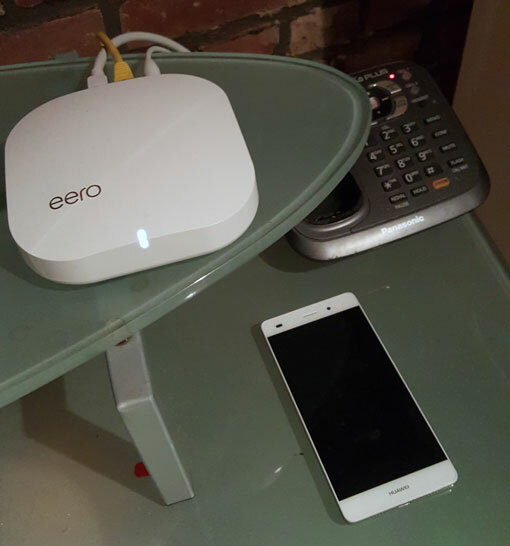 Like magic, the moment our Eero was set up, the stream played with no complications or waiting. Hallelujah! The canny Eero app sends out login details via text or email to friends and family for guest access. It can run its own speed test; when we checked, it produced almost exactly the same results as Speedtest.net. Security and software updates are automatically downloaded straight to the Eeroboxes, and the system runs regular checkups and claims it mends itself if need be. Our final word on the Eero system has more to do with your wallet than your wish list. What is super speedy, reliable Internet worth to you? Most routers run about $100, while more complex products like the D-Link Ultra Tri-band Wi-Fi router sell for more than $250 on Amazon. Eero, on the other hand, is asking $499 for the basic three-pack set-up. You can buy a single Eero unit for $199, but without a few mates, the system simply can't work up to its potential. So is a base investment of $500 for better Wi-Fi worth it? If your answer is yes, then this painless system simply can’t be beat. Thank you so much. Its first time I hear of this. I will try it.